For those of us that want to squeeze the last little bit of accuracy from a 10/22 build, we are always looking for any edge we can get. 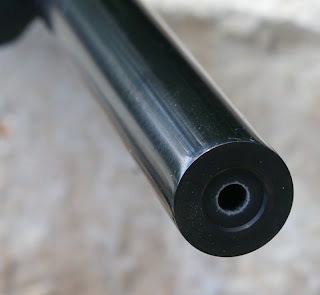 As an example we want a barrel trunion/shank to receiver union so tight that any potential for shot to shot variance or barrel droop is negated. In the case of barrel to receiver fit, we want mounting option that can make the barrel and receiver become one. The 100% stainless steel MOA 10/22 receiver will satisfy even the most ardent of accuracy 10/22 fanatics. MOA Corp was founded in 1982 with the introduction of the company's Maximum long range target pistol which is still today considered one of the most accurate pistols ever made. Today, 30 years later, MOA also produces the one and only 100% stainless steel receiver for the 10/22. Additionally it is one of only three 10/22 receivers made in the industry that are threaded which allows for the best barrel to receiver union possible. Assembly of this build was no different than any other 10/22 build and is 100% compatible with all your favorite 10/22 trigger groups, charging assemblies, bolts, pins, buffers, and v-block mounted barrel if you opt for a non-threaded barrel build. Beyond being stainless, the MOA 10/22 receiver is identical to a stock receiver except for a rear cleaning hole and a rear mounting/bedding tab. 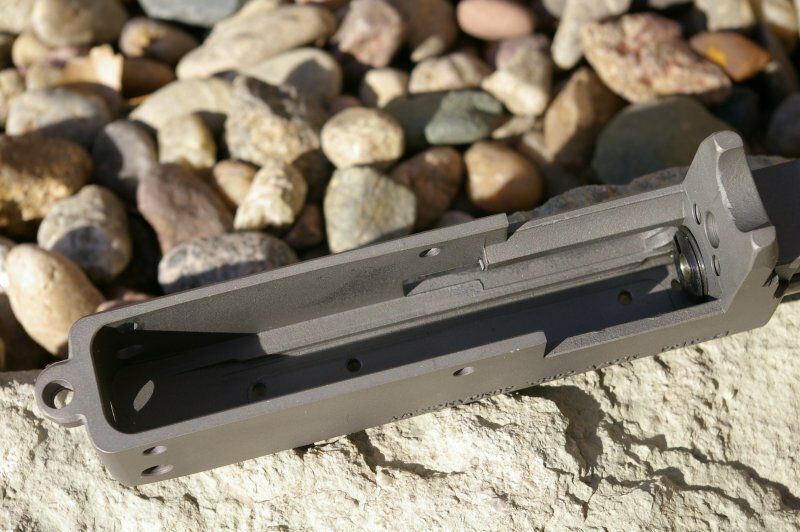 MOA delivers a very unique 10/22 receiver for accuracy nuts and/or those that want a stronger more durable and corrosion resistant receiver. To maximize accuracy, minimizing any play between the barrel shank and receiver and eliminating barrel droop is critical. Some also believe that a stiffer receiver also increases accuracy as well, which this stainless beast of a receiver delivers very well. One way to minimize barrel play is to hand fit a slip-in barrel. A number of barrel manufacturers deliver their barrels with .001" oversized shanks for this very reason. 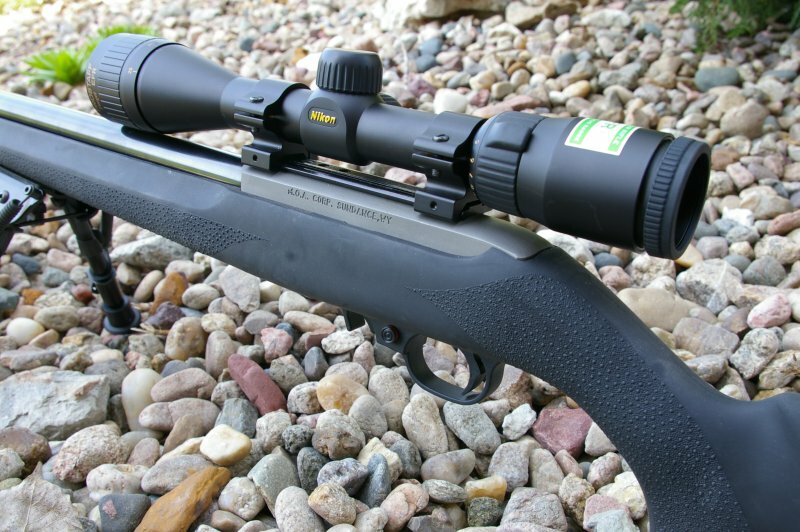 MOA's stainless 10/22 receiver goes all the way with a threaded receiver union in a bomb proof stainless receiver. 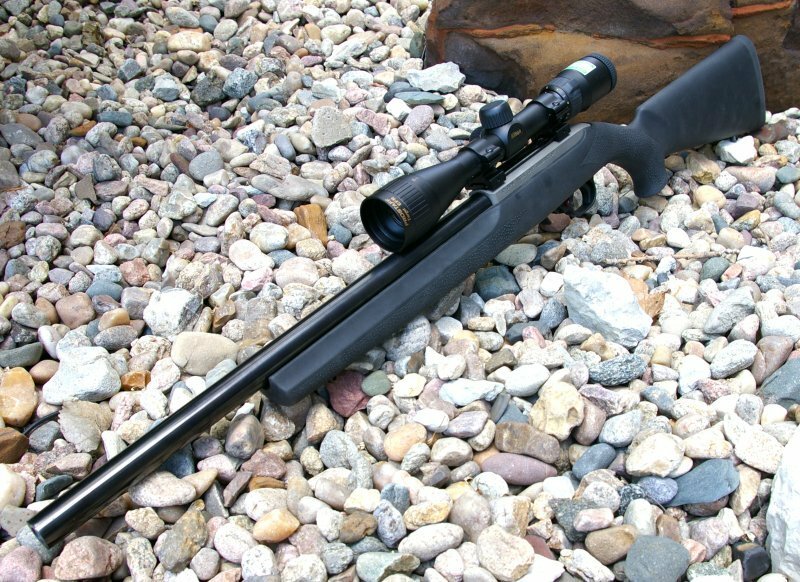 Of course the next question becomes how do you come by a 10/22 barrel with a threaded shank? There are actually a couple methods. 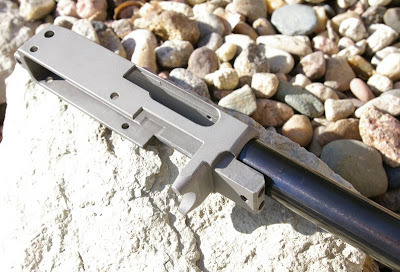 The first most obvious is to work with a gunsmith to have an existing 18" or longer barrel shortened, rechambered, rethreaded, and have the extractor slot recut once the position is marked on the receiver. Getting this work done can be kind of a pain, so MOA offers a couple far less expensive and more convenient options. 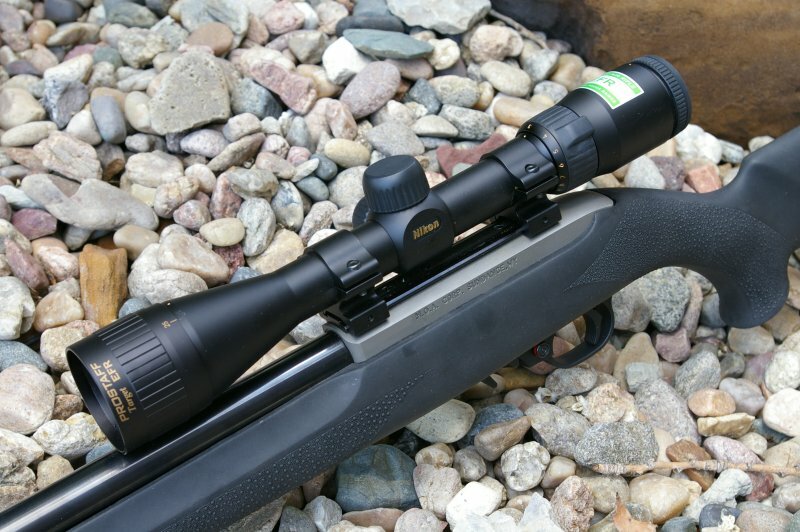 MOA partners with several premium match barrel manufacturers such as Feddersen (R4), Douglas, and others to offer shooters complete threaded barrels for the 10/22. They buy the sized and chambered blanks from each manufacturer and then turn and thread the shanks for optimal fit to the MOA receivers. After marking the proper ejector location, the extractor slot is cut. I opted for this option and added an 18" Feddersen R4 barrel to my order which arrived attached when I picked up the receiver from my FFL dealer. Just like all the other Feddersen barrels I have used in articles; this one was another gorgeous un-fluted bull barrel with a pristine bore. For those customers who already have a favorite barrel that they want to use with a MOA receiver, the company also offers a service to thread customer barrels for a $40 charge. 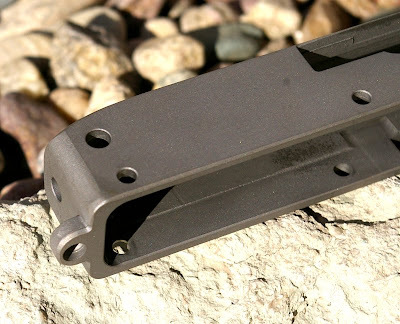 The service turns down the customer's barrel shank, threads it, attaches MOA's threaded barrel collar, attaches the barrel to their MOA receiver, and then cuts the ejector slot. 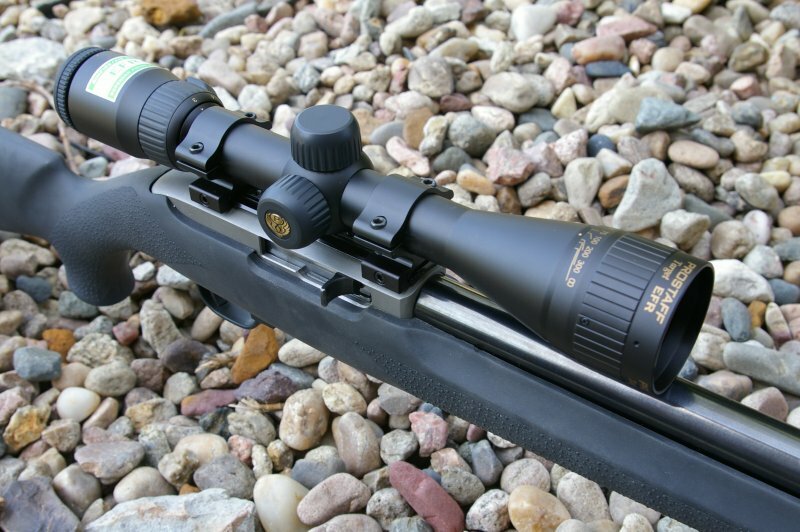 It is important to note that many an expert believe this machining does not impact accuracy and when threaded and mounted in the receiver actually reduces barrel stress compared to a v-block retention system. This service is another potential accuracy improving feature even when you supply your own barrel. In either case, once you have a threaded shank, the barrel is threaded into the receiver just as many other firearms are; this barrel to receiver union provides the most reliable, solid, and accurate fit possible with zero slop, no induced barrel droop, and also negates the need for a v-block. For those that just want an indestructible stainless receiver without a threaded barrel or opting for the threading conversion service, the MOA receiver will also accept any aftermarket barrel and mount with a v-block just as you would on any other receiver, all without modification. 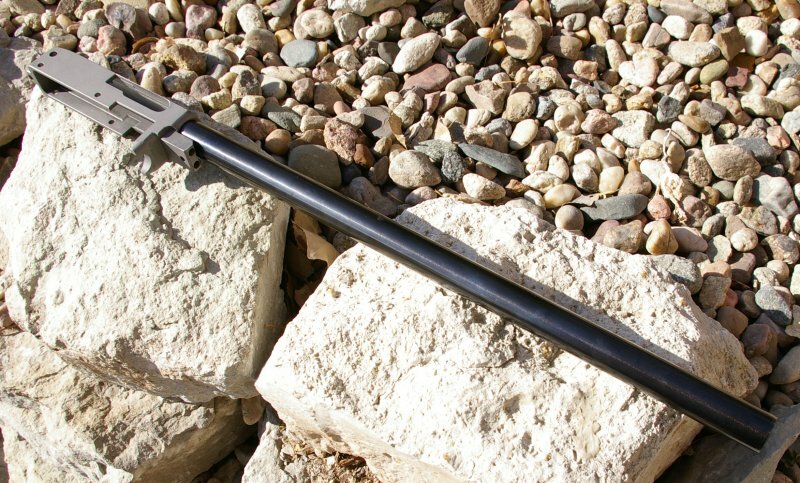 The threaded receiver barrel hole is dimensionally the same as any other 10/22 receiver; it is just threaded. To increase accuracy further, MOA also added a rear pillar mount tab to deliver a more solid mounting platform for the receiver. This rear receiver pillar mount tab can be used a number of ways or not at all. At the very least a little Dremel work is required to allow the receiver to mount in your stock of choice. The hole in the tab allows you to screw the receiver into the stock, typically via a pillar bedded mount. Or it can be used as a cantilever point for the front action screw to tighten against. Or bedded down, or...etc. It is a flexible and welcome little feature which adds much needed support to a single screw mounted receiver which was never designed to hang 3lb barrels from. For this build, the MOA stainless receiver was paired with a Feddersen R4 barrel ordered threaded directly from MOA. I choose to mount the MOA receiver and R4 barrel in a Hogue overmolded stock with a little drill and Dremel work to allow the rear mounting tab to key into the stock. In my setup, the MOA receiver keys into the rear tab hole and then cantilevers down via the standard front take down bolt. In order to increase accuracy, I also pillar bedded the front take down screw on the Hogue stock to greatly diminish the effect the torque of the take down screw has on accuracy. 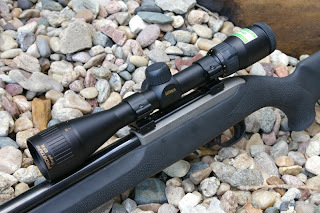 I added a Nikon Prostaff EFR 3-9x40 optic with adjustable objective to compare the accuracy to what I have experienced before with Feddersen barrels. All the other parts were stock Ruger pieces including the trigger assembly. Being 100% stainless steel has the obvious durability points of corrosion and rust proof, however I believe the more important point is the added structural strength. The trim little cast alloy Ruger 10/22 receiver was never intended to support 16"-22" heavy bull barrels 2-3 times the weight of the original barrel especially when the barrel is also free-floated. 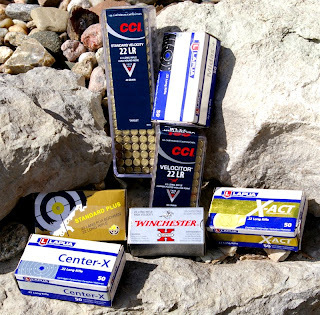 That much stress will lead to some minute flex which does impact accuracy negatively. It only makes sense that a stronger and more rigid receiver will structurally support the weight of our heavy barrels much more solidly and therefore improve accuracy, especially when we also thread in the barrel. The MOA stainless receivers are CNC machined from 17-4 stainless castings with a low reflection bead blast finish on the exterior surfaces and the interior surfaces are left machine finished. From a distance, the MOA 10/22 receiver looks like a stock silver finished forged stock Ruger receiver, however up close or once you lift it, you know it is not aluminum. Internally the milling is consistent however the pickier builders will notice a few sharp edges internally, however they do not affect functioning and could be touched up in a under a minute with a little Dremel work if they bother you. The one issue I did have was that the factory Ruger bolt would stick at the rear most position. This is a problem I have had with other aftermarket receivers with certain factory bolts, however a little Dremel work tapering the back end of the bolt delivered problem free operation. With the 100% stainless receiver and an unfluted 18" bull barrel the action is anything but light; the word "beefy comes to mind. 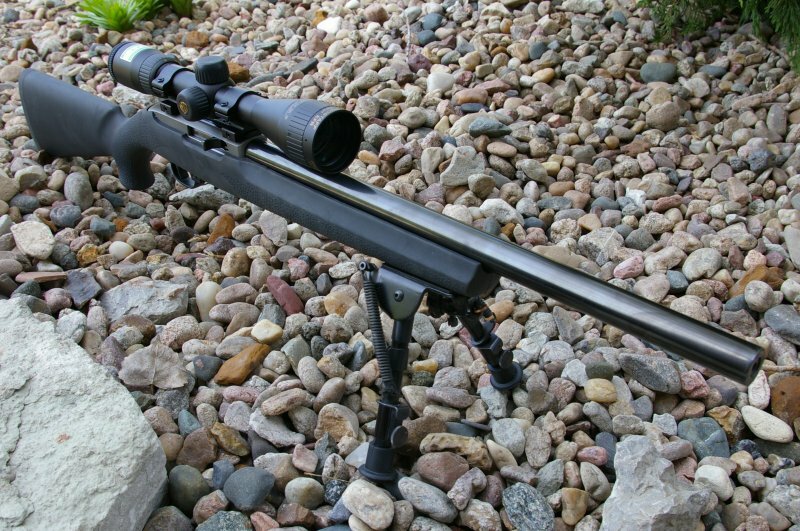 The MOA stainless 10/22 receiver is considerably heavier than the factory cast aluminum alloy receiver. 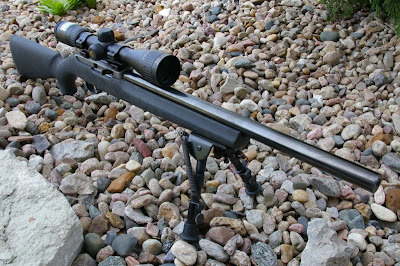 This extra weight is actually a positive for high accuracy benchrest shooters, but certainly would not be my choice for build I would plan dragging into the field. The Nikon PROSTAFF’s is a perfect scope for an accurate fielded .22, however for a bench target gun it is hardly up to the task of wringing out the most accuracy of this rig. It is clear and a deal for around $150 on the street and gives me a good base for accuracy as all my other testing was with scopes maxing out at 10X or under. This is my third Feddersen barrel and it was no surprise that it printed nearly identical groups as my other two using CCI standard Velocity and Lapua Center-X, Midis +, and X-act. My best center to center measured 50-yard group was a five shot .135” group with X-Act and a .157” five shot group with CCI standard Velocity. 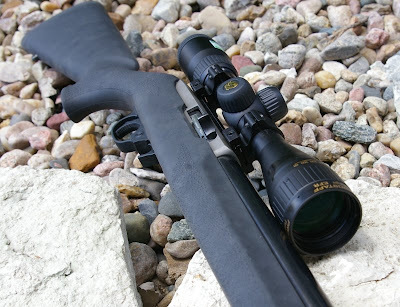 These are essentially single hole groups; not bad at all considering the Hogue stocks are not famous for accuracy and the rifle could definitely take advantage of a higher magnification optic and a match trigger. The MOA 10/22 receiver is unique and definitely delivers from a features perspective at only $179.85 which is still less than almost any 10/22 aftermarket receiver out there. To be honest, I saw "about" the same accuracy as I did from my other Feddersen barreled actions, but did not see a huge improvement in overall accuracy. To be fair, I need to move, retest, and capture data from this and my other Feddersen barreled rigs at 75 yards which I will do when ammo starts freeing up a bit more. The reasons for this move to 75 yards is that if you are shooting near single hole groups already at 50-yards then it makes it really tough to see drastic differences when you shoot another rig that shoots near single hole groups at 50-yards until you make things more difficult. Add in wind, different optics, different triggers, stock and different days and you have a bunch of variables between all my rifles that make it hard to tell how much better the MOA receiver setup really is. Once I can actually get .22LR ammo again, I will revisit this test. If I was creating the most durable weatherproof 10/22 ever, I would reach for the MOA receiver and same goes if you plan to slip a Feddersen or Douglas barrel on anyway; as you will get the most from each of those barrels in this receiver. At the very least MOA will assure some of the more typical barrel droop and fitment problems affecting accuracy will be negated. My only complaint was the absence of an integrated picatinny scope rail, however at least with a stainless receiver you can crank down the screw with far less worry about stripping the receiver screws.